If chakra stones are shaped into cones, they help to generate energy. The energy lies on the tip of the cone. 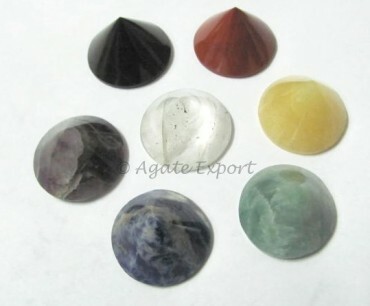 Agate Export brings you Chakra Energy Set.